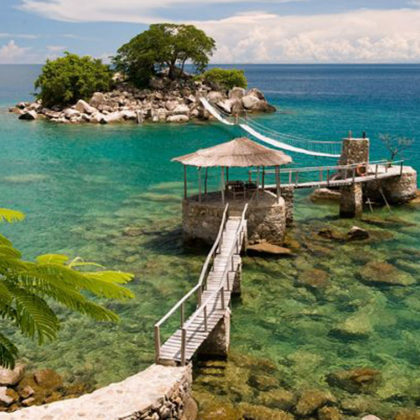 Off the eastern shore of the Lake is Likoma Island: a little piece of Malawian territory in Mozambican waters. Its history – the setting up here of the headquarters of the University Mission to Central Africa (Livingstone’s mission) in the 1880s – caused it to be retained by Malawi when the Lake was divided politically after World War II. 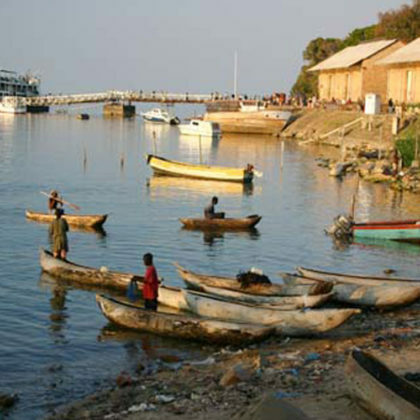 Likoma’s claim to fame is its cathedral (the size of Winchester’s) on which work began in 1903. This vast building has some most interesting features including stained glass and carved soapstone. Liwonde is perhaps the most popular of all the game parks. 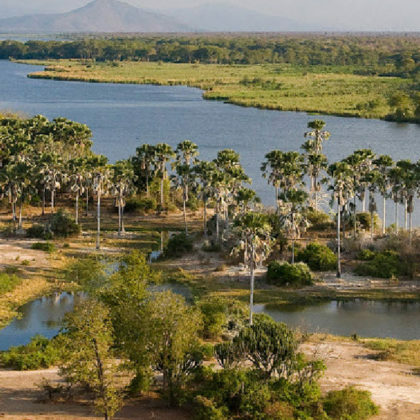 Game viewing is enhanced because the River Shire flows along its western border, allowing boat safaris as well as the usual ones on foot or in 4x4s. Wildlife includes quite large numbers of elephants and the river attracts countless hippos and crocodiles. Antelope include kudu, sable and bushbuck. There are leopards and hyena and the occasional visiting lion. Black rhino has been re-introduced. 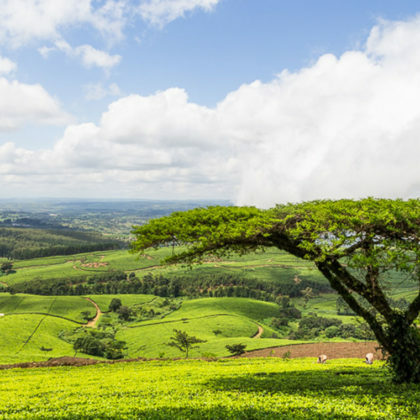 Between Blantyre and Mount Mulanje are the Thyolo (pronounced “Cho’lo”) tea estates. Tea has been grown here since 1908 and the primly trimmed bushes (strictly trees) give the whole area the appearance of a neatly kept but vast garden. By arrangement it is possible to tour some of the estates and see something of the work of these plantations. 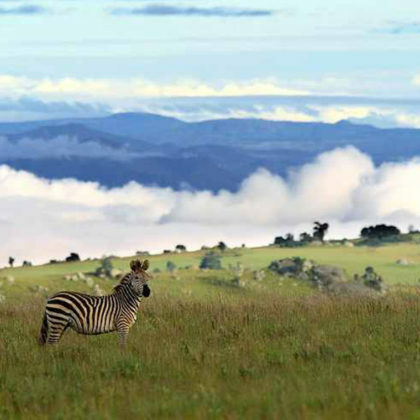 Nyika is Malawi’s largest park with an area of no less than 1250 sq miles (3200 sq km). It extends across the great plateau which is essentially a granitic dome and its environment is like none other in the whole of Africa. The rolling scenery is at its best in the rainy season when over 200 types of orchid are in flower. The grasslands of Nyika are rich in wildflowers in other seasons.